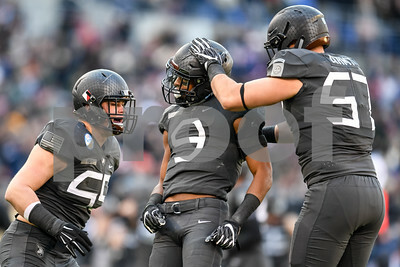 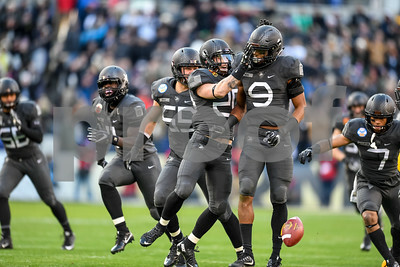 Army Black Knights defensive back Xavier Moss (9) celebrates with his teammates after an interception during the Army Navy Game, December 10, 2016 at M&T Bank Stadium in Baltimore, MD. 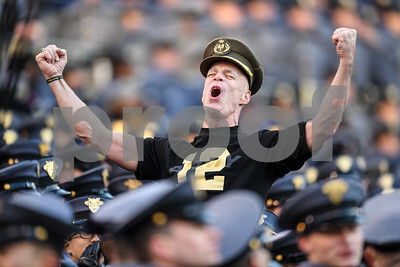 An Army Black Knights fan gets excited during the Army Navy Game, December 10, 2016 at M&T Bank Stadium in Baltimore, MD. 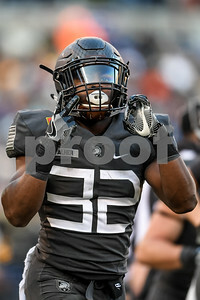 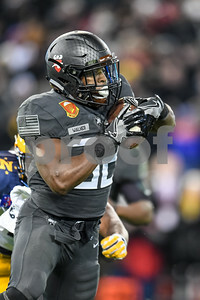 Army Black Knights running back Kell Walker (32) celebrates after a touchdown during the Army Navy Game, December 10, 2016 at M&T Bank Stadium in Baltimore, MD. 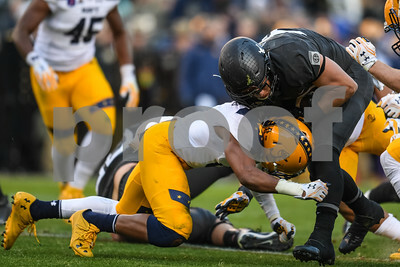 Army Black Knights running back Andy Davidson (40) collides with a Navy Midshipmen player during the Army Navy Game, December 10, 2016 at M&T Bank Stadium in Baltimore, MD. 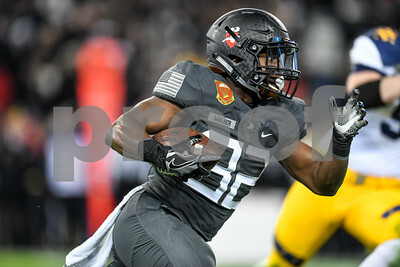 Army Black Knights running back Andy Davidson (40) finds a running lane during the Army Navy Game, December 10, 2016 at M&T Bank Stadium in Baltimore, MD. 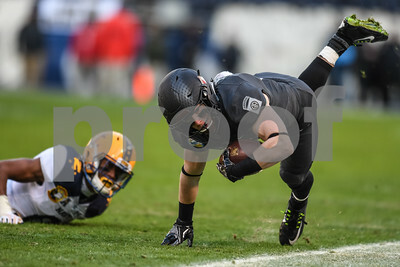 An Army Black Knights player is tripped up after a catch during the Army Navy Game, December 10, 2016 at M&T Bank Stadium in Baltimore, MD. 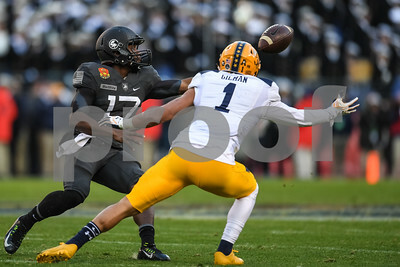 Army Black Knights quarterback Ahmad Bradshaw (17) pitches the ball with Navy Midshipmen safety Alohi Gilman (1) in pursuit during the Army Navy Game, December 10, 2016 at M&T Bank Stadium in Baltimore, MD. 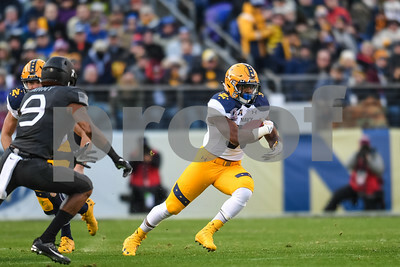 Army Black Knights quarterback Ahmad Bradshaw (17) hands off to Army Black Knights running back Kell Walker (32) during the Army Navy Game, December 10, 2016 at M&T Bank Stadium in Baltimore, MD. 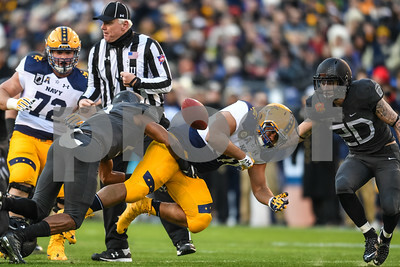 Army Black Knights defensive back Xavier Moss (9) jars the ball loose from Navy Midshipmen fullback Shawn White (31) during the Army Navy Game, December 10, 2016 at M&T Bank Stadium in Baltimore, MD. 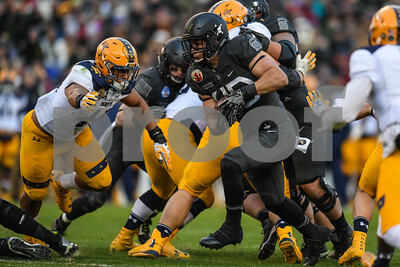 Navy Midshipmen fullback Shawn White (31) finds a running lane during the Army Navy Game, December 10, 2016 at M&T Bank Stadium in Baltimore, MD. 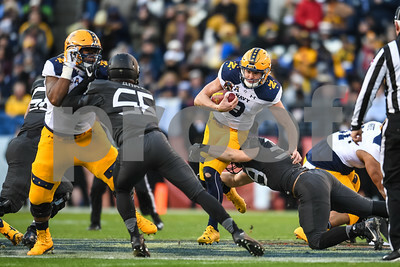 Navy Midshipmen quarterback Zach Abey (9) tries to elude Army Black Knights linebacker Jeremy Timpf (39) during the Army Navy Game, December 10, 2016 at M&T Bank Stadium in Baltimore, MD. 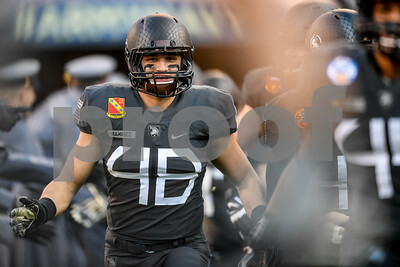 Army Black Knights long snapper Clay Barton (48) runs out of the tunnel before the Army Navy Game, December 10, 2016 at M&T Bank Stadium in Baltimore, MD. 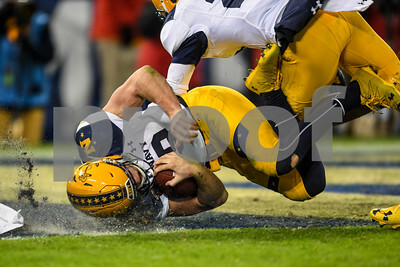 Navy Midshipmen quarterback Zach Abey (9) finds pay dirt during the Army Navy Game, December 10, 2016 at M&T Bank Stadium in Baltimore, MD. 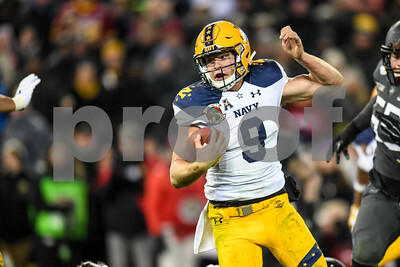 Navy Midshipmen quarterback Zach Abey (9) looks for room to run during the Army Navy Game, December 10, 2016 at M&T Bank Stadium in Baltimore, MD. 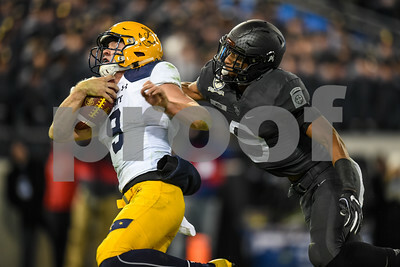 Navy Midshipmen quarterback Zach Abey (9) tries to shake off Army Black Knights defensive back Xavier Moss (9) during the Army Navy Game, December 10, 2016 at M&T Bank Stadium in Baltimore, MD. 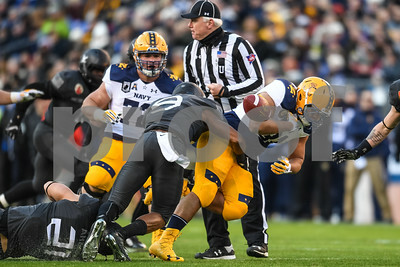 Navy Midshipmen wide receiver Jamir Tillman (4) is corralled by Army Black Knights linebacker Kenneth Brinson (56) during the Army Navy Game, December 10, 2016 at M&T Bank Stadium in Baltimore, MD. 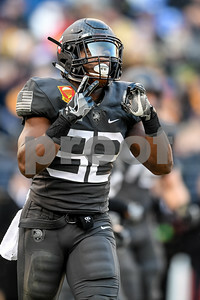 Army Black Knights running back Kell Walker (32) looks downfield for a running lane during the Army Navy Game, December 10, 2016 at M&T Bank Stadium in Baltimore, MD.